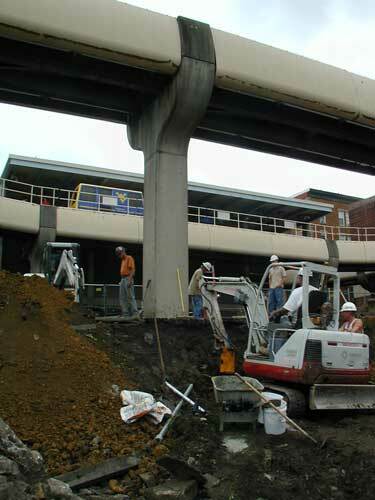 The new Sherriff building was built directly beside and under one of the columns for the PRT. 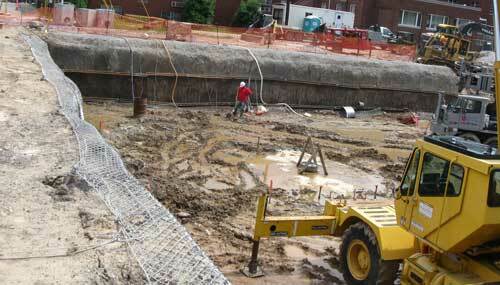 CHANCE Helical Underpinning piers stabilized the base of the column until the building could be constructed and the basement backfilled. 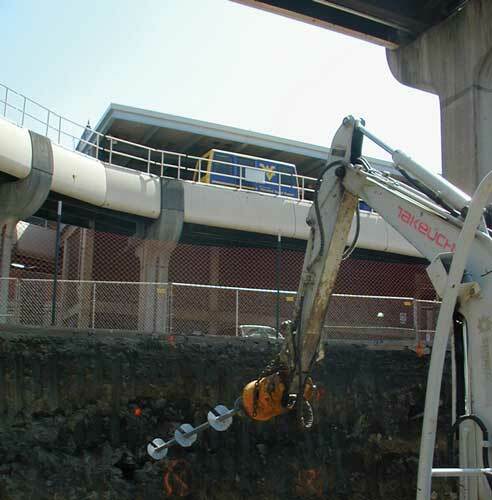 Temporary shoring was required to excavate for the basement of the new hospital. 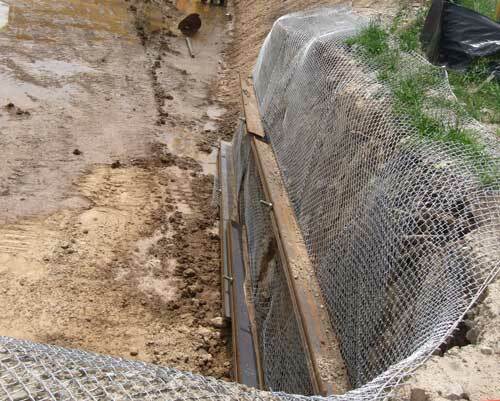 McCloy was able to develop a system using CHANCE Helical Tie-backs with fencing. 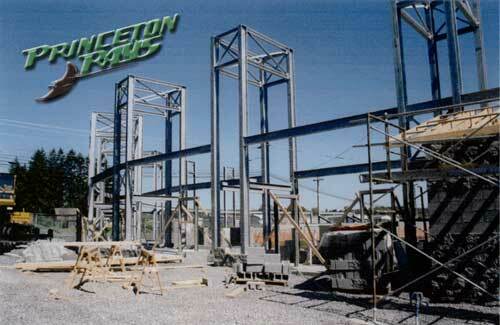 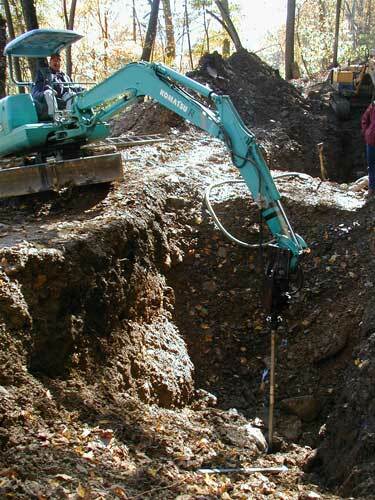 The system met the building codes at half the cost of sheet piling. 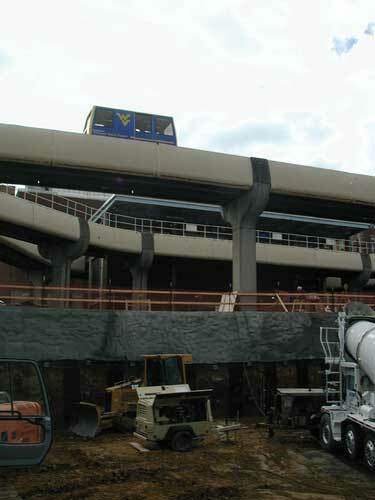 A vertical cut was required under the PRT in Morgantown to provide room to construct the first floor of the new Sherriff building. 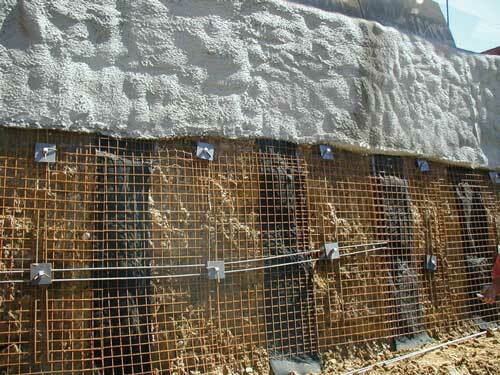 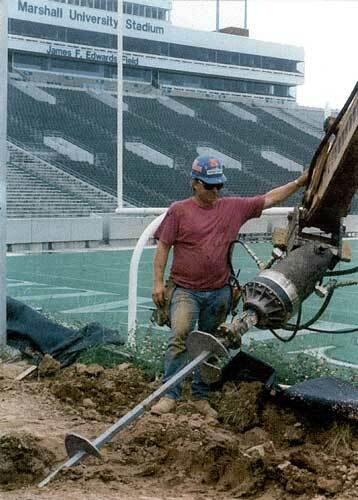 McCloy used CHANCE soil nails for an earth retention system to stabilize the earth during the construction process. 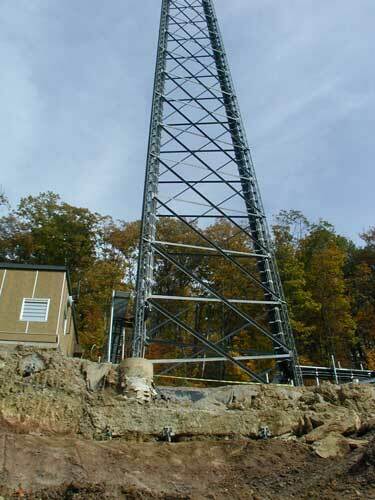 A slip developed and endangered the stability of this cell tower. 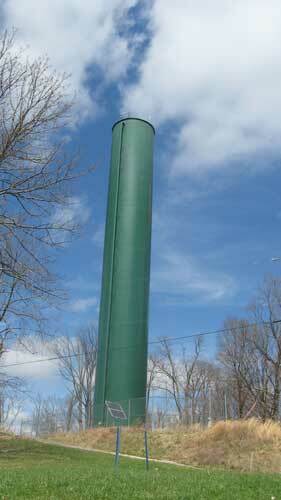 McCloy was able to stabilize the foundation of the tower before any movement occurred. 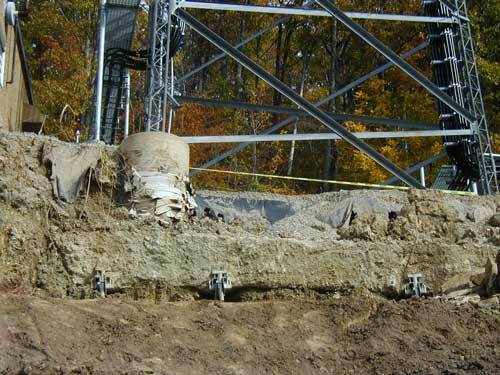 All water towers pose a problem due to one side being pushed into the ground and the other side being pulled out of the ground. 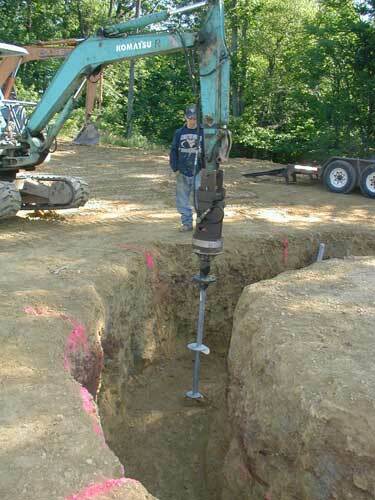 CHANCE Helical piers are the perfect application because the product works in compression and tension equally. 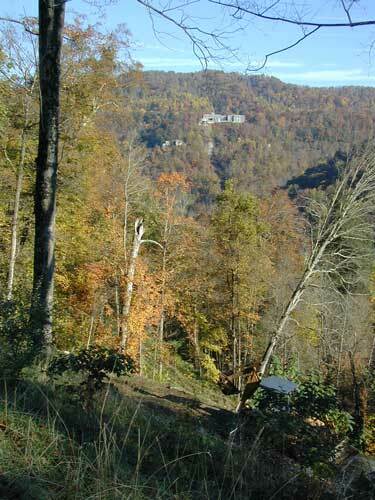 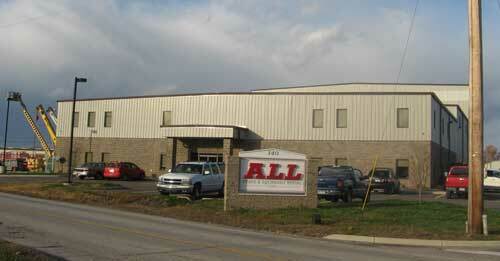 A slip developed that endangered the main water line serving southern West Virginia. 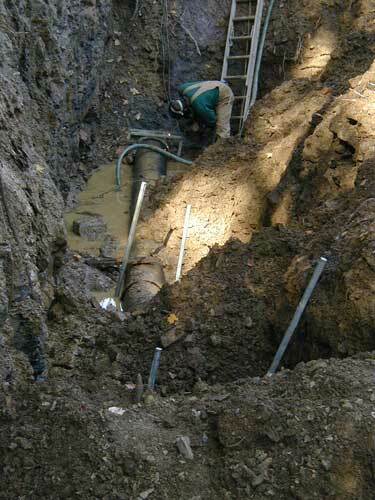 McCloy was called in the anchor the main line before the slip pulled the pipes apart. 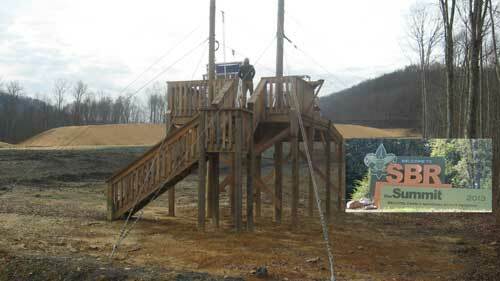 McCloy Construction installed CHANCE Helical piers for all the zip lines, obstacle course and observation deck for the 2013 National Boy Scout Jamboree where over 50,000 scouts used the West Virginia site.